Group eyes gondolas for Miami. Alaska’s upcoming new ski resort gets a name: Skeetawk. Italian snowmaking powerhouse Technoalpin enters the ski lift fray with a T-Bar in Turkey. Lookout Pass says 14 new runs will be cut this summer but new lifts will wait until 2019. Durango, Colorado advances plan to replace rope tows on Chapman Hill with a carpet and triple chair. Two of Hunter Mountain’s three summit lifts are down for the third day in a row. A new lift changes a mountain. In this story, the mountain is a volcano and the actors are Mt. Bachelor, Doppelmayr, Highlander Lift Services & Construction, Timberline Helicopters and the Forest Service. Cloudchaser: The Story Behind Building a New Lift is one of the best videos you’ll see in awhile. Congratulations to the team on a job well done. Thanks to their efforts, Mt. Bachelor is now the sixth largest ski resort in the United States! “We don’t fly the helicopter and we don’t tie the knot.” – Paul Johnston, Highlander Ski Lift Services & Construction. An opening day shout out to lift mechanics. The Telegraph profiles Giggijochbahn, Sölden’s new gondola that moves more people faster than any other lift on the planet. Cloudchaser will open Friday at Mt. Bachelor with a shortened Rainbow chair to follow. Ober Gatlinburg restarts operations following the recent wildfire after inspections of its aerial tram by Frey and Garaventa. 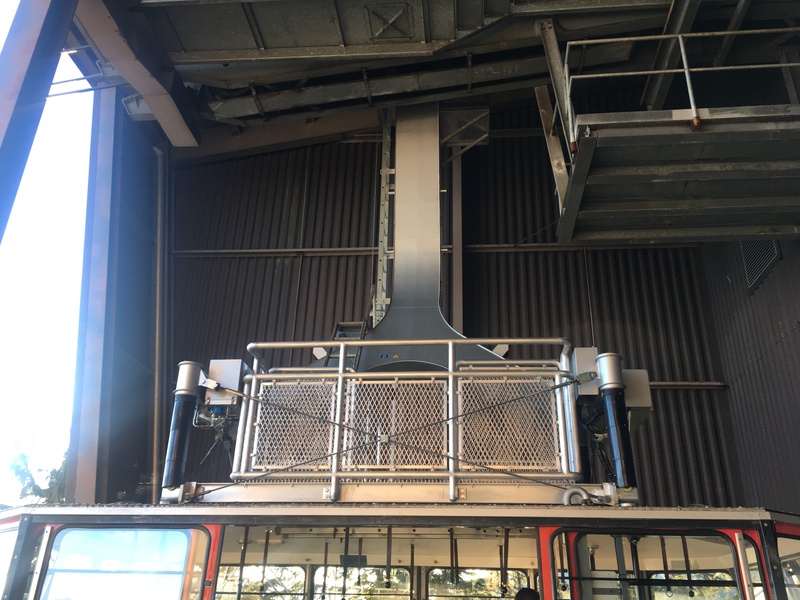 The Gatlinburg Sky Lift sustained extensive damage and Boyne Resorts announces its intention to re-open with a new or repaired lift in spring 2017. Robert Redford, notably a Doppelmayr and Skytrac customer, releases video opposing the Grand Canyon Escalade. Jay Peak faces another setback as its tram haul rope tangles around track ropes following icing event. Peak Resorts lost almost $8 million in Q2. Whaleback won’t get a new T-Bar this year. Bullwheel entanglement kills tram mechanic in Japan. Branson Gondola memorandum of understanding vote postponed amid concerns about the business model. Trouble in Oregon as guests leash themselves to and dangle themselves from chairs at Ashland and Meadows, respectively. Nakiska sends apology letter to passholders and offers free skiing at sister resorts as multi-week shutdown of the Gold Chair Express continues. Bridger Bowl wants to replace Virginia City and move Snowflake within the next two years. This is Doppelmayr’s first D-Line chairlift. One lift goes down, another is rope evac’d on opening day at Snow Trails, OH. NewEnglandSkiIndustry.com posts a rundown of possible new lift projects for 2017 in New England. Nelson, BC moves forward with Fringed Hill Gondola project. Leaders look at building a four stage gondola between famous tourist sites in Jerusalem. Amtrak’s Winter Park Express train returns January 2017 after a seven-year hiatus. A new platform alongside the Union Pacific Railway’s main line will be just 90 feet from the Gemini Express. Poma and Sigma are building a triangle-shaped gondola at a wildlife park in China with 224 cabins. They will come in four different animal designs and 70 will feature glass floors. The innovative lift will debut in January. Leitner Ropeways will attend the global transportation technology summit Innotrans in Berlin. The first cabin takes a spin on the White Line in La Paz. The White and Blue lines will open in 2017 joining the Red, Yellow and Green lines and the world’s largest gondola network. Mi Teleférico also opens two retail stores dedicated to gondola souvenirs and public outreach. Does your local public transit authority have 200,000 Facebook fans? Cloudchaser takes flight at Mt. Bachelor. 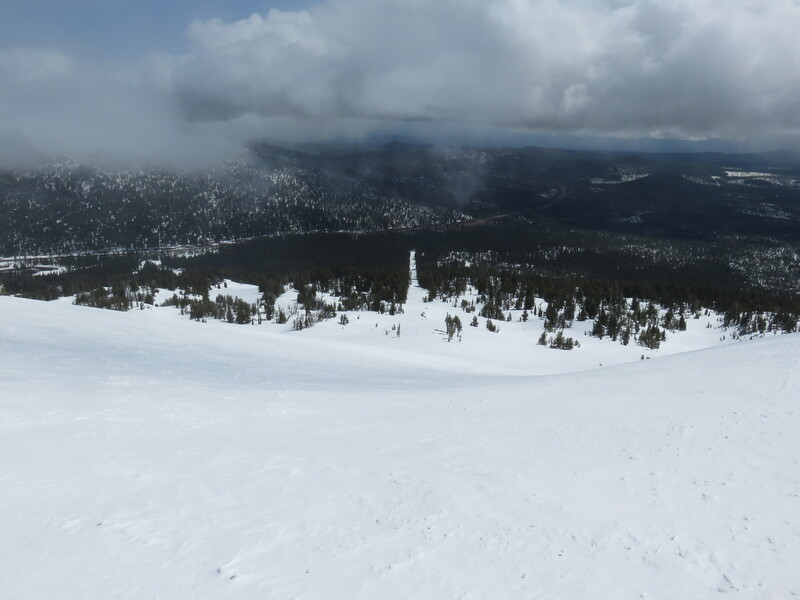 A progress report from Arizona Snowbowl where Leitner-Poma is building the state’s first six-pack. The State Fair Flyer at the North Carolina State Fair is a brand new Partek. Mexicable opens October 3rd in Ecatepec, Mexico. The Leitner-built system has two haul ropes, seven stations and 190 cabins. The local Governor took a test run earlier this week and the video has been viewed more than 430,000 times. An empty chair falls from the Gunbarrel Express at Thredbo, Australia during public operation. The lift is a 1988 Doppelmayr with DS grips. Mt. Bachelor will open the long-awaited east side expansion served by a new high speed quad called Cloudchaser in time for Christmas. Powdr Corp. has signed a nearly $6 million contract with Doppelmayr to install the lift this summer. The project will add 635 acres of skiable terrain to Mt. Bachelor, making it the 5th largest ski area in the United States. This will be the first new terrain serviced by a new lift since the Northwest Express was added in 1996. With the addition of Cloudchaser, Mt. Bachelor will have eight detachable quad chairs serving more than 4,300 acres. 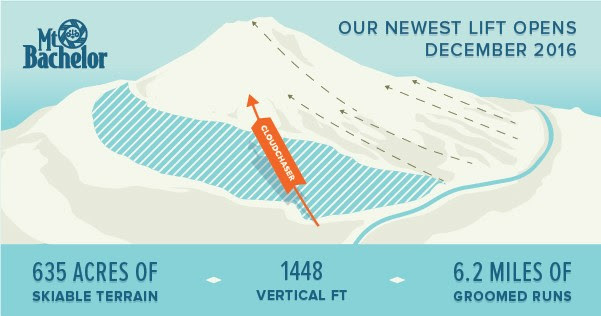 The new lift will rise 1,448 vertical feet with a slope length of 6,576 feet and 21 towers. Cloudchaser lift line seen this week. It’s hard to believe a lift will be operating here in six months.